There are 19 million flex-fuel vehicles on the road in the US, but not many people actually know was “flex fuel” means, let alone whether they should drive a flex fuel vehicle. What Does Fuel Flex Mean? In a nutshell, flex fuel vehicles run on any combination of gasoline or ethanol up to 83 percent, which is somewhat confusingly called E85. The second-generation on-board diagnostics computer system (OBD-II) developed in the mid-nineties is what makes flex fuel technology possible — sensors detect what type of fuel is being used and then adjusts drive characteristics based on ethanol content. When higher ethanol blends are used, the computer maximizes efficiency. Most flex fuel vehicles have badging on the rear of the vehicle advertising that fact. Other signs of a flex fuel vehicle include a yellow gas cap and the words “flex-fuel vehicle” or “E85” on the interior of the fuel door. If you’re still unsure, check your owner’s manual. Ethanol burns cleaner than gasoline, so flex fuel vehicles are great from an environmental point of view. You won’t burn as much gasoline and won’t contribute significantly to greenhouse gasses. Burning ethanol, which is produced using corn and sugarcane, reduces our dependence on foreign oil, and you’ll often enjoy considerable tax benefits when you drive a flex fuel vehicle. Keep in mind that flex fuel can cause corrosion and damage to the engine since it absorbs dirt relatively easily. It’s also worth noting that ethanol isn’t as economical as gasoline and isn’t as easy to find. Lastly, using corn and sugarcane for ethanol production may be considered a disadvantage since it can indirectly lead to higher prices for products like animal feed due to ingredients being used to produce fuel. 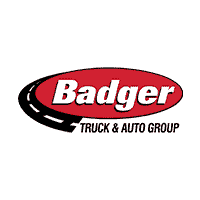 Here at Badger Badger Truck & Auto Group we know all about heavy-duty trucks like the Ford Super Duty and Ford Chassis Cab, so visit us today if you need any fuel flex questions answered. We have locations in Milwaukee, Madison, and Green Bay, and you can always contact us online. 0 comment(s) so far on What is Flex Fuel?